When Rick Peterson meets with senators today in Calgary, he’ll bring more than his analysis of what needs fixing in Ottawa’s planned overhaul of how energy projects get approved. 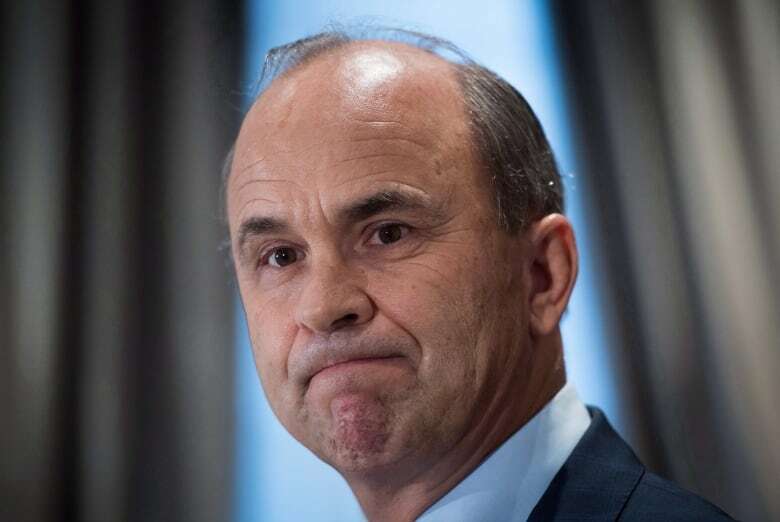 The former Conservative leadership contender, who founded the pro-resource-sector group Suits and Boots, will also point to letters from people from across Canada who’ve been hit hard by tough times in the energy sector. “You want to make sure the senators understand they’re not just looking at grey, black and white legislation,” said Peterson, who will address the senators at the meeting in a downtown hotel. The remarks illustrate both the high stakes and strong emotions that have become part of the debate in the province’s oilpatch over Bill C-69, which aims to revamp the assessment process by scrapping the National Energy Board and empowering a new body to conduct more extensive consultation with groups affected by development. It’s one reason why a Senate committee is taking the rare step of touring the country to collect input from Canadians while the senators review the bill. “I think this is a good time to break with precedent,” said Sen. Paula Simons, an Independent senator from Edmonton. The Senate committee is in Calgary today after starting meetings in Vancouver. It will travel next to Fort McMurray, Alta., Saskatoon and Winnipeg. The roadshow will then tour the East. This follows weeks of discussions in Ottawa, where the senators have heard from various experts from all sides as they prepare to suggest changes to the bill. 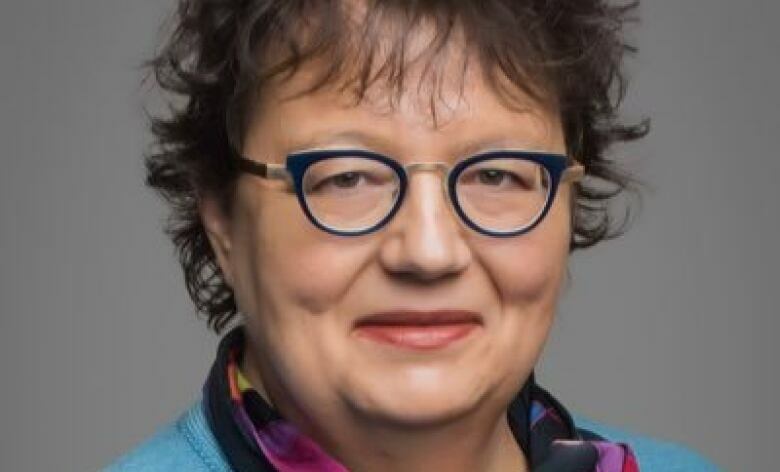 When the Liberal government last year unveiled C-69 — whose full name is “An Act to enact the Impact Assessment Act and the Canadian Energy Regulator Act, to amend the Navigation Protection Act and to make consequential amendments to other Acts” — it was touted as a way to streamline the approvals process for natural resources projects, while bolstering consultations with Indigenous communities affected by extractive and other industries. The bill also sets new timelines and parameters for reviews, which would consider not just impacts on the environment, but also long-term effects on society and health, Indigenous peoples, jobs and the economy. Ottawa contends that an improved consultation process will help industry address potential problems early and stave off negative court decisions, such as the one handed the Trans Mountain expansion project last summer, when a federal court ruled that the process of the regulator, the National Energy Board, was “so flawed,” it shouldn’t have been relied upon to approve the expansion. For supporters of the legislation, many of these changes are overdue. But in Alberta, it’s become a flashpoint for workers and an industry facing an uncertain future. It’s a struggle that Sen. Doug Black felt his colleagues needed to see for themselves in considering the legislation. “The committee members need to hear from people, businesses, communities,” said the Independent senator from Alberta. It’s no mystery why the oilpatch has concerns with the legislation. Some even call it the “no-pipelines” bill. The sector worries it will bring more uncertainty and red tape while deterring investment. One pipeline group warned last year that it’s “difficult to imagine” a new major pipeline could be built under the proposed act. Executives have expressed concern that the bill fails to address the big financial risks associated with lengthy reviews, while still leaving the final say in the hands of the politicians. In particular, Peterson is concerned that the new review process could consider how projects are consistent with Canada’s environmental obligations, such as the Paris Agreement on climate change. 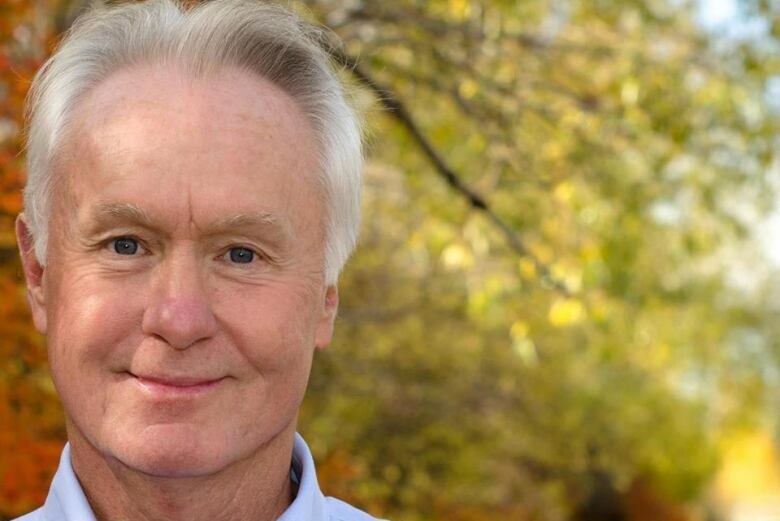 “That opens up a snake pit of issues and problems and potential litigation,” Peterson said. Still, not everyone believes the bill would stifle future projects. Duncan Kenyon, the Alberta regional director of the Pembina Institute, an environmental research and advocacy group, says the proposed legislation is a chance to rebuild credibility in the regulatory system. “I actually have a lot of faith in where the industry is going,” Kenyon said. But beyond all the analysis, the debate stirs strong emotions. 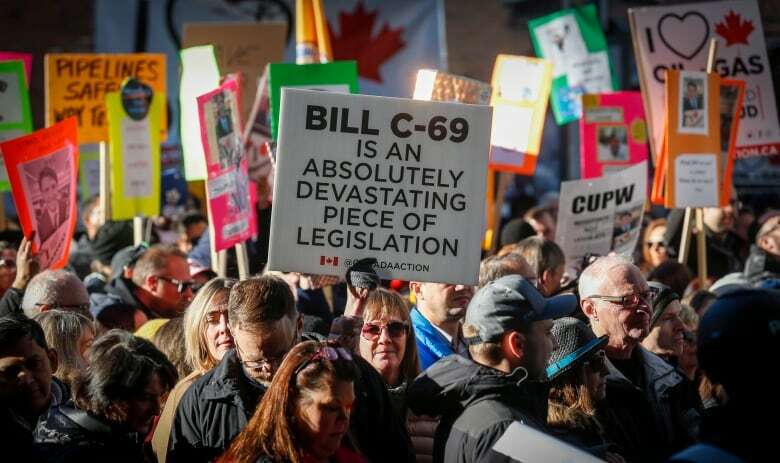 Placards reading “Kill Bill C-69” are common at pro-oil-sector rallies in the province and in Ottawa. The bill comes as the industry suffers from low commodity prices while also struggling to get new pipelines built. A new report this week said direct employment in Canada’s oil and gas sector is expected to drop by more than 12,000 jobs this year, most of them in Alberta. There’s also growing global scrutiny of the impact that burning fossil fuels has on climate change. “The people of Alberta really feel the pressure of a rapidly changing, volatile energy sector,” said Warren Mabee, associate director of the Institute for Energy and Environmental Policy at Queen’s University in Kingston, Ont. Peterson and others consider the Senate committee’s tour critically important, and hope it will lead to amendments to the bill. “The Senate can propose all kinds of amendments, and we’re confident that what [they hear] will empower them to send those amendments back to the House,” Peterson said. Still, any amendments the Senate makes would need approval by the House of Commons, where equally strong but conflicting opinions exist about the bill. For his part, Black believes the government is open to changes.